I love those runs where I feel unstoppable and could just run for ever! Ever have one of those? They come around once in a great while. 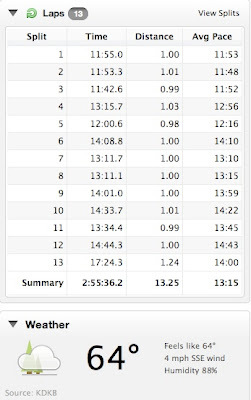 Those are the times where I think to myself how ready I am for a marathon. I know that I can finish with no problem. And then, there's the other runs. The runs where I hate every minute, every mile. Those are the times where I completely doubt everything. Yesterday was one of those days. It was one of those races where I doubted my ability to not only complete a marathon, but to complete the half that I was running. I hate looking back and wondering if I could have done better? Could I have pushed harder? Or was I really at my limit? I had completely forgotten to even check out my splits. I think the weather must be for the start. It was 64 with 88% humidity. The humidity went away as the day went on, but the heat increased. The first 5 miles went okay, but then I really went downhill. I keep looking back wondering why, what could I have done differently? I really don't know. Maybe I have to start running by myself more. I depend on Becky a lot on our long runs. She plans our routes and picks our pace. She is really good at staying steady and holding back until the end. 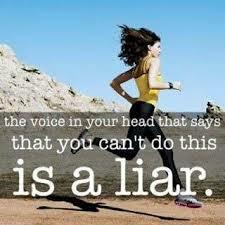 When running, how does one become stronger mentally? I thought I was doing okay, then things like yesterday happen. I really need to come up with a game plan. 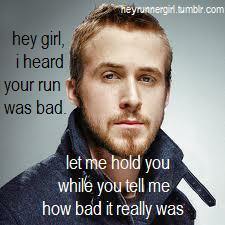 I mean, 26.2 doesn't run itself. And I'm already signed up for the Milwaukee Lakefront Marathon. I need to work on building my confidence back up and sticking to the running plan. How do you mentally prepare for a race? You can do it! I KNOW you can! Sometimes we are the last ones to know. You inspire me all the time!